Dr. Brenda Ivelisse is a transformative international educator/trainer in Seattle, Washington. As a fourth generation educator in her family, she has continued the tradition of challenging students to realize their voice and use it to speak out. When people realize their power, they can start the movement towards breaking cycles of poverty and violence that they or those around them may experience. She has used her writing and photography to engage folks in conversations on both sides of the issues of immigration regarding the violence on the Mexican-US borderland. Born in Puerto Rico, her family migrated between the island and the East Coast of the United States throughout her youth. She has presented at universities across the nation on various topics from cultural competency to authentic leadership. She has traveled to several countries to further enhance her understanding of the students she serves; she was a fellow through the Council of Educational Exchange in Amman, Jordan where she studied the plight of women in the Middle East. Dr. Ivelisse also served as Lead Instructor of the Cultural Clarity Experience; allowing her to develop leadership training curriculum for 20 students and directors over a 10-day immersion trip to China. She has been awarded various leadership awards in recognition of her commitment to community building such as the Dr. Martin Luther King, Jr. Distinguished Leadership Award. She has degrees from Washington State University and earned her doctorate at Oregon State University. She was a fellow for the National Hispana Leadership Institute’s Executive Leadership Program- a nationally acclaimed program. She has taught college courses in Chican@/Latin@ Studies and Early Childhood Education. She uses her writings, photography and role within student affairs to bring the conversation regarding immigration and human rights violations to the Hawaiian islands and beyond. As an Afro-Latina she seeks to empower and uplift the voice of those known as the “others” to the mainstream. She currently serves as the Associate Vice President of Student Affairs for Bellevue College in Washington State. 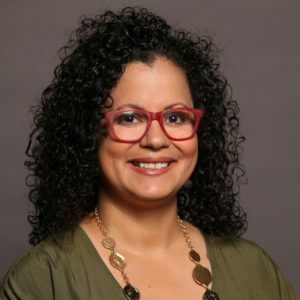 From 2014-April 2019, Dr. Ivelisse served as Vice Chancellor for Student Affairs at Kapi’olani Community College – University of Hawai’i and previously Associate Dean of Students and Multicultural Coordinator at Portland Community College, in Portland, Oregon.